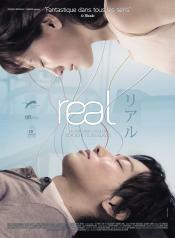 Koichi (Sato) and Atsumi (Ayase) are childhood friends who have become lovers. Despite this closeness when Atsumi attempts suicide Koichi is at a loss to understand the circumstances that drove her to do such a thing. Now she is in a coma and Koichi needs to find out the reason. Since Koichi is a neurosurgeon he has access to the latest studies and so he takes part in a medical procedure that will allow him to enter Atsumi's subconscious. Through 'sensing', a type of neurosurgical procedure allowing contact with the intentional aspect of a comatose patient's mind, Koichi tries to discover why Atsumi tried to kill herself, and to bring her back to consciousness. When he enters her mind she asks him to find a picture which she drew as a child. It is the key to a suppressed memory connected to a childhood trauma, an incident buried in their past which will bring their minds together and allow him to get close to truly knowing his love. This page has been seen 9767 times.